From inventory management to consumer awareness, there are many ways to use barcode scanning technology; additionally, there are convenient barcode scanner apps available for both iphone (iOS) and Android phones. A mobile barcode scanning solution allows you to turn any tablet or mobile phone into a barcode scanning utility. Furthermore, some of these applications can send data to an easily accessed platform – allowing users to work together to maintain the accuracy of their data. Consumers can also use barcode scanning applications to find out more information regarding products they want to purchase. For more information about barcode scanners and to watch a video on what a barcode is, visit How Barcodes Work. Access the power of MobileAsset, from Wasp Barcode Technologies, on your iOS and Android smartphones and tablets with the MobileAsset App. Know what assets you have, where they are and who has them at all times. 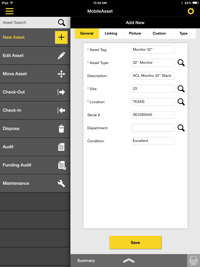 Check assets in or out to employees or customers with the click of a button. Capture signatures and images on your device to ensure quality controls. MobileAsset is the leading fixed asset management solution for small business; with all the functionality you need at an affordable price. With unlimited US-based technical support, free Getting Started training & a 30-day unconditional return policy your business can achieve ROI in a matter of weeks. Create and scan QR codes and barcodes. The Scan 2.0 barcode app for iphone and android brings real-time button creating to life. From “Buy Now” buttons to surveys, you can easily connect with anyone using the power of QR codes. A fast and simple barcode solution, Barcode Express Pro is inexpensive and allows you to quickly scan and track items. The item lists can be exported in a variety of formats for ease of use: they can be uploaded to Google Docs, a .CSV file, or an email. Overall, Barcode Express Pro offers the features of a premium program at an extremely low price. Barcode Express Pro can even be used by homeowners interested in ensuring that they have their home inventory tracked for insurance purposes. The premiere ticketing solution, Entry Manager makes it very easy to scan barcodes on tickets to guarantee quick verification and makes logistics management trivial. Barcode ticket management has become exceptionally important throughout the event management industry, and Entry Manager provides a unique and free cross-platform solution. Entry Manager can greatly increase the efficiency of line management and decrease the administrative burden of events. Time Station allows employees to track their attendance and their time through a barcode scanning system. 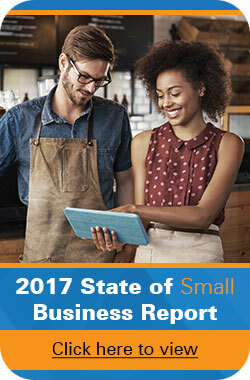 Time Station is a cloud-based application that allows you to check on your employees whenever you desire. An easy- to- use web interface connects you with information regarding your employees at any time. Time Station is a wonderful solution for any company that does hourly billing and wants to reduce the administrative cost of billing tracking. This handy weight loss app made the list because of their barcode scanning utility embedded in the program. Simply line up a food product’s barcode to you smart phone’s camera and scan. My Fitness Pal then puts the nutrition facts onto your phone and calculates your daily allowance. 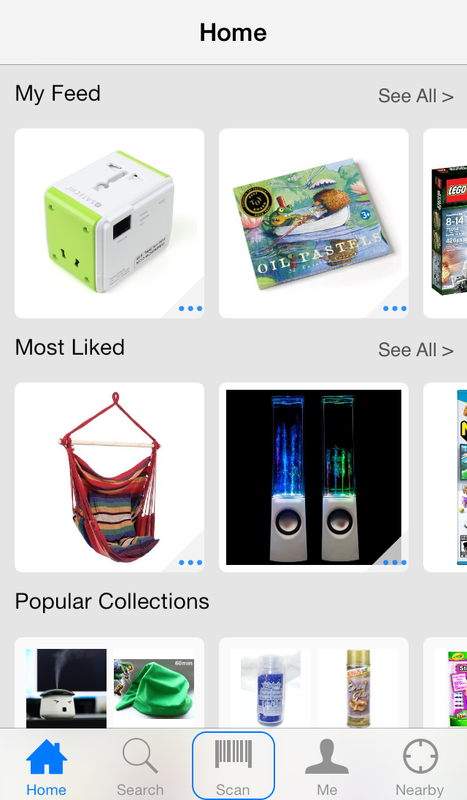 Smoopa Shopping is a social sharing barcode scanner app for Android and iPhone that lets users share the products they love and earn rewards for purchases. You’ll find a lot of bloggers and Pinterest users taking advantage of this app to share local pricing through the Smoopa Shopping app. Consumr Reviews is an iPhone barcode scanner app for shopping, but it handles information a little differently than other shopper systems. Consumr takes you directly to reviews about the product you have just scanned. Consumr has more or less become the Yelp for product barcode scanning. Buyvia is a barcode scanner app that gives users access to the best pricing by scanning the barcodes on their favorite products. 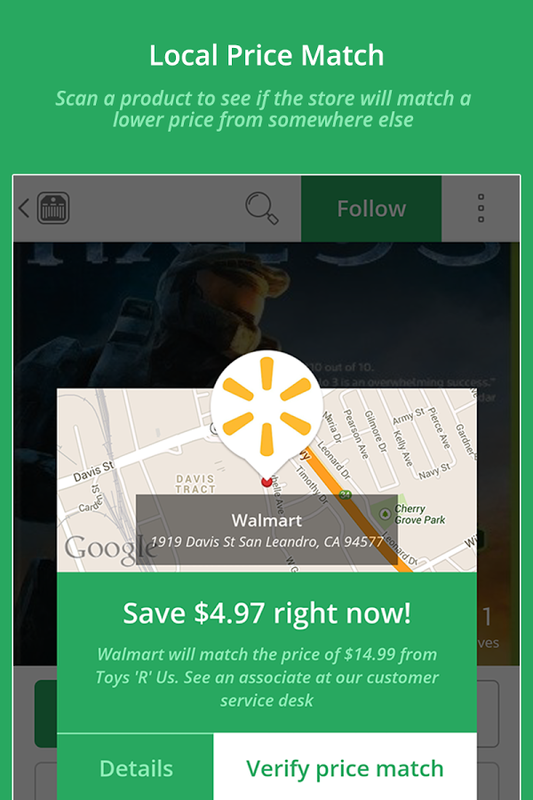 The app also keeps track of “favorite” scans, and alerts you when new coupons are released, or when price drops occur.BuyVia is one of the fastest options for consumers interested in immediately purchasing an item with a barcode . BuyVia offers reviews regarding your items to ensure you don’t end up with a negative product purchase. Scan to Spreadsheet is an easy to use barcode scanner app for both Andorind and iPhone that allows you to scan barcode information directly into a spreadsheet; which can then be imported into a variety of programs. Scan to Spreadsheet is available on multiple platforms and an inexpensive way to collect data from barcodes quickly. WorkApp is a unique program that allows you to schedule and manage staff members through the use of barcode scanning technology. Based on a cloud platform, vWorkApp allows you to automatically track you employees to ensure they are completing their jobs on time and as scheduled. v WorkApp tracks detailed information regarding your staff members and is ideal for service oriented positions, such as, contract-based labor. Designed for Android/iOS, the ScanLife barcode reader enables users to quickly scan barcodes and receive information. Usable for both traditional barcodes and QR codes, this is a versatile and simple barcode reader. Even better, it’s free. A free barcode and QR code solution, the Barcode Scanner for the BlackBerry is a fast and easy- to- use application that allows you to scan data with the click of a button. The barcode scanner is a lightweight choice that is optimal for users that simply want to scan barcodes and not much more. RedLaser is a free barcode scanner app for iphone and android phones with proven popularity among iOS users. RedLaser allows you to scan the barcodes of items and then quickly find information about the item, such as where to purchase it and the current lowest price . RedLaser is the ideal scanner for consumers who are simply interested in finding out more about products pricing and location rather than inventory tracking and management. The program is easy- to- use with clear, understandable results . Shopping App & Pricing App Another consumer barcode application for the iphone and andorid phones, ShopSavvy works similarly to RedLaser in that it allows consumers to quickly look up market and pricing data regarding items they are interested in purchasing. ShopSavvy also offers price alerts to ensure you know when the price goes down on items that you desire. 16. JumpTrack (Free With Jumptrack License / iOS, Android) Mail Delivery App JumpTrack is a proof-of-delivery barcode scanning app that gives users the ability to track deliveries and allows users to sign for those deliveries right on the mobile device. Drivers can scan “license plate” barcodes, and take multiple pictures of deliveries and returns. Route optimization is a new feature to the app, which helps users order routes in the most efficient manner, saving on fuel costs and improving overall customer service. Offered by the major, online marketplace Amazon, Amazon Price Check is a simple way to immediately check the price of items on Amazon. Don’t forget there are many major retailers, such as Best Buy, that price match for Amazon; thereby, greatly increasing the usefulness of this easy- to- use consumer utility & barcode app for iPhone and Android phones. Another completely free consumer barcode app for iPhone & Android mobile devices., The Find, allows you to connect with local deals regarding the items you scan. The Find is the perfect solution for those that absolutely love seeking deals, and it will also connect you to online deals if you have more patience. The Find is easy- to- use and can work in tandem with many other consumer products to guarantee you get the best price. From a single scan, ShopAdvisor gives you the option to research a product, find the best price in the moment and buy it online, save it and ask to be alerted when the price drops, or to find a local retailer with product availability. ShopAdvisor boasts the ability to allow consumers to shop naturally, on their terms, by providing all of these options at their fingertips. NeoReader is one of the fastest barcode scanner apps on the market. In addition to being able to scan and share product info from barcodes and QR codes, NeoReader also offers a nifty QR Code builder inside the app. This is great for adding review information or any other notes about the product you are sharing. I’ve tried Shop Savvy and Red Laser and neither of them return local results. I need local results not internet results for buying in bulk…any help you can give would be great ! Are you using the updated Red Laser app? When I scan a barcode on Red Laser, I see four tab options: online, local, details, and reviews: if you select local you should see where to find that item locally. Hope this helps! Thanks for your feedback, Jerry. Although we don’t have an app yet, our inventory control with web viewer does function that way (if I understand you correctly). What is a good barcode app that will scan and give you where the product was produced and give info within the code? here a great free barcode scanner for iPhone http://kjsoft.jimiup.com/2013/04/barcode-x/ that might be helpful for inventory. Scan barcodes of your items, insert their quantity, send the inventor by email (with a CSV/TXT list file and images attached) or retrieve your data with itunes. You can use the file with your ERP software. Can anyone tell me if there is an app that let’s a person scan a item and it gives you the price right then? I have a Iphone 4. Hi there Rooster222, thanks for the question. Here is a link with quite a bit of information – http://appadvice.com/appguides/show/barcode-scanning-apps-for-ios. I would trust the Amazon Price Check more than most & I use ScanLife on my Android personally. Thanks for the information. I am looking at the site now. I’m looking for an bar code reader that I can access from the Keypad function on my Galaxy Note 3. I’m tired of leaving out of one app copy and go back in and then paste on the other app. I use this for my job I scan about 100 a day. This is exactly how our WWS100i Cordless Pocket Barcode Scanner works; it acts as a keyboard into your applications where keyboard entry can be used. It supports Android™, which is probably what the Galaxy Note 3 is running. The list price is $195, technical support is free and Wasp has a 30 day money back guarantee. I have a gs4 and would like easy bar code app I can scan a hundred or less and email the list to another coworker. Any ideas? Thx! You should check out Barcode Terminal Scanner for Android. It scans to a spreadsheet, to your PC, to a server over HTTP, to Google Docs, or just to the SD card. https://play.google.com/store/apps/details?id=no.winternet.barcodescannerterminal It has many flexible options. I would recommend ScanOut because I have had some great shopping times with this mobile app. It lets you scan the products you want to buy and provides the details you need to make a decision. Making payment is easier with ScanOut. The whole shopping process happens smoothly, without a hitch and without having to waste stressful minutes at checkouts. then BFJ means that the following 12 components should be in the envelope at the end of the machine? Need a good ticketing solution. Seeing allot of apps for inventory. Anyone has experience in these areas? Is there an android software that will allow me to input list barcode in txt file to entry on my inventory (android) aplication?